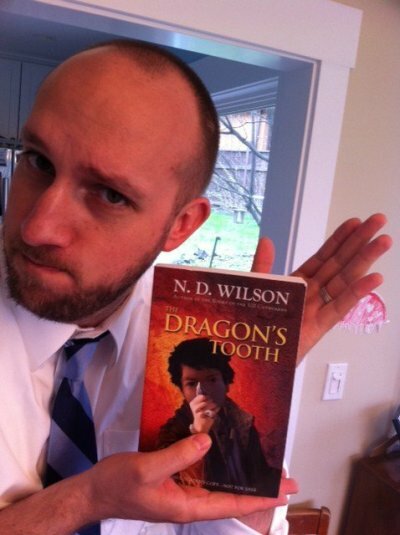 Christian author Nathan David Wilson, better known as N.D. Wilson, is responsible for young adult fiction books such as "100 Cupboards," "The Dragon's Tooth," and "Dandelion Fire." His books always take fans away to exciting adventures. This time around, however, he is going to need an escape himself since he has just been diagnosed with brain tumor. Wilson wrote in an open letter to fans that his family is going through a tough time following his diagnosis. Despite the grim news from his doctors, he takes comfort in his strong belief that God will be with him and his family every step of the way. "This is obviously a fairly momentous trial for our family, but by the grace of God, Heather and the kids and I will be hitting it head on," he wrote. Wilson revealed that he first noticed "strange" changes in his health when his left ear "turned off" during a meeting. He began hearing something that sounded like a fire alarm. When he asked his doctors about it after undergoing a medical procedure, they said he had a tumor in his brain that was the size and shape of a "farm egg." "The tumor originated in my auditory canal and is now compressing my brain stem and unpleasantly butting into my cerebellum," Wilson said. "That said, it is still killing me (as they say) softly, and new symptoms have been multiplying rapidly over the last couple weeks. So I am now scheduled for invasive brain surgery in L.A. on May 2nd." The author appealed to fans to keep him and his family in their prayers, so that he can "get back in the saddle" soon after surgery. At the same time, he is praising God for giving him the chance to face this challenge. "God is good. God is faithful," he wrote. "This is the storm we were meant to weather. This is the bull I was meant to ride. I can't hit my characters with pain and hardship to spice up their stories and not be willing to face anything life threatening myself!" Wilson released his new book, "Outlaws of Time," on Tuesday, April 18. Speaking to Publishers Weekly about the new book, Wilson said he wanted to create a different kind of superhero — one who isn't wearing tights but "a character who tapped into that same ancient story framework." His hero is called Sam Miracle, "a damaged and hunted kid with elbows that wouldn't bend – until rattlesnakes were grafted into his arms, giving him the fastest hands in history." To balance the scary aspect of the novel, Wilson said he laced it with humor so that his own kids wouldn't feel bothered reading it.